Josue Diaz of Sterling Heights, MI wanted to create a website to share his journey of recovery from an Achilles Heel rupture. 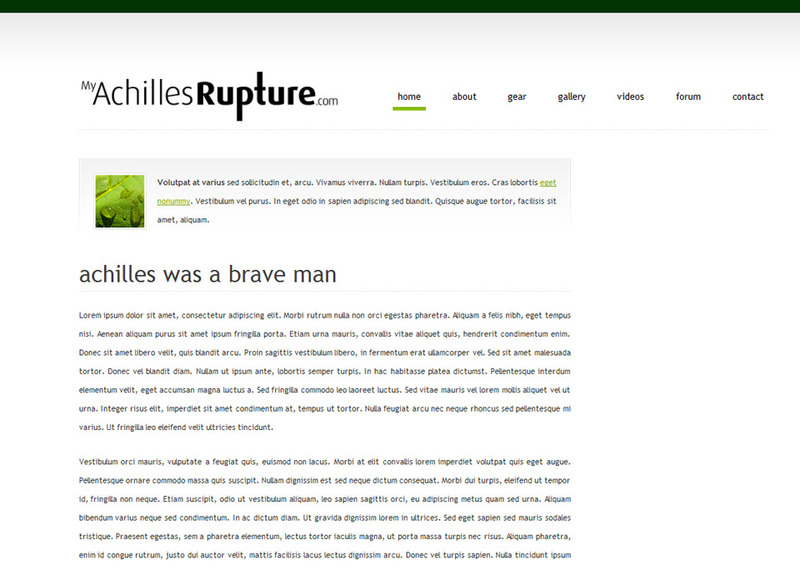 We created a mockup using HTML and CSS based on client’s request for a clean and modern design. Status: Client is currently using a blogging platform for his website.